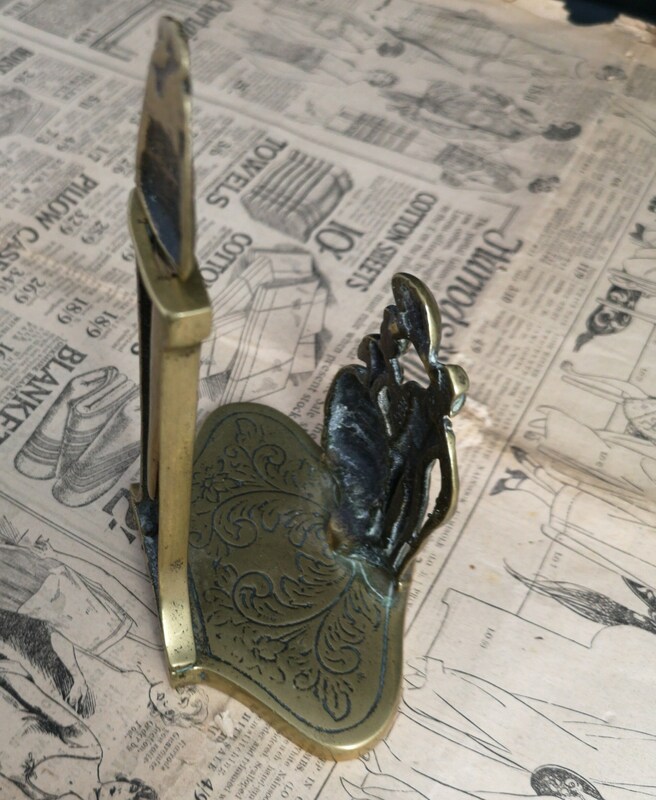 An attractive antique brass letter rack with its very own brass letter opener. 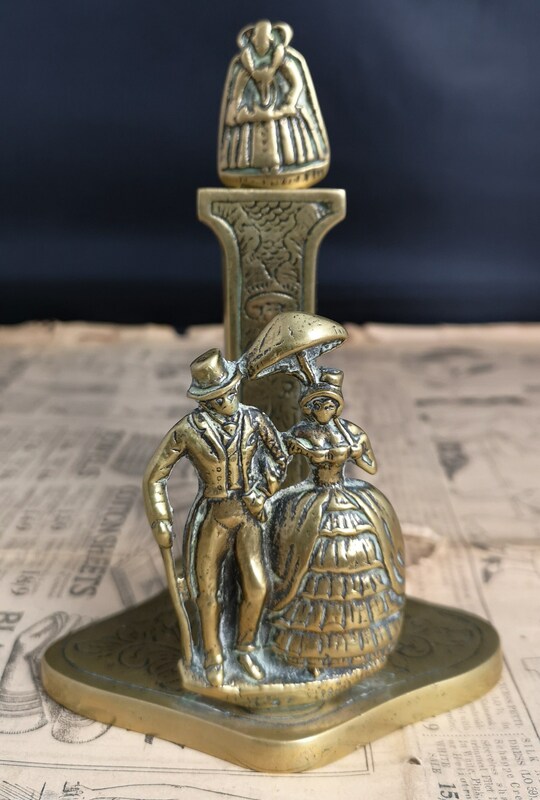 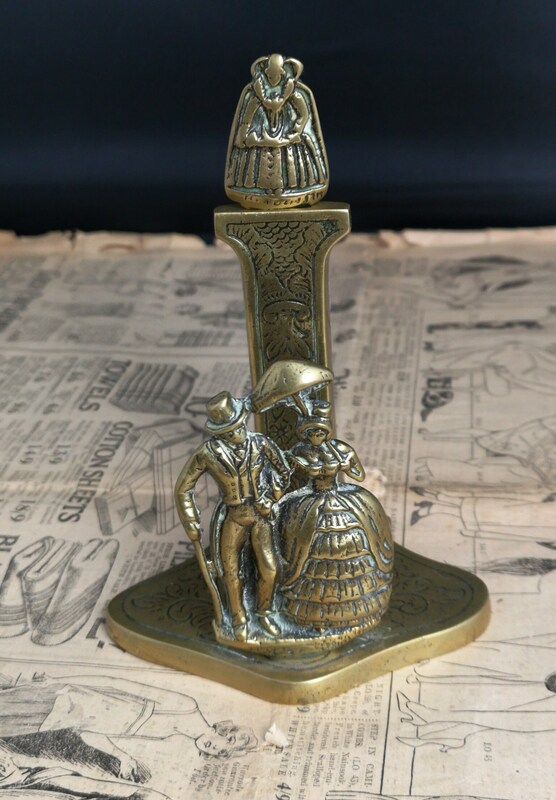 The front of the letter rack itself features a couple taking a stroll and the back is engraved with designs, the letters are stored in between this space, the back reaches up higher than the front and at the top it has a slot that holds the letter opener. 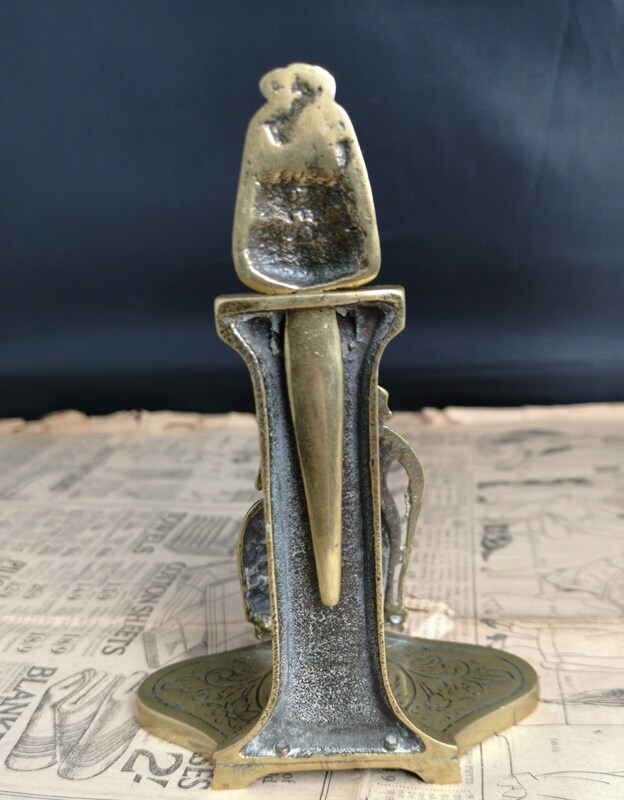 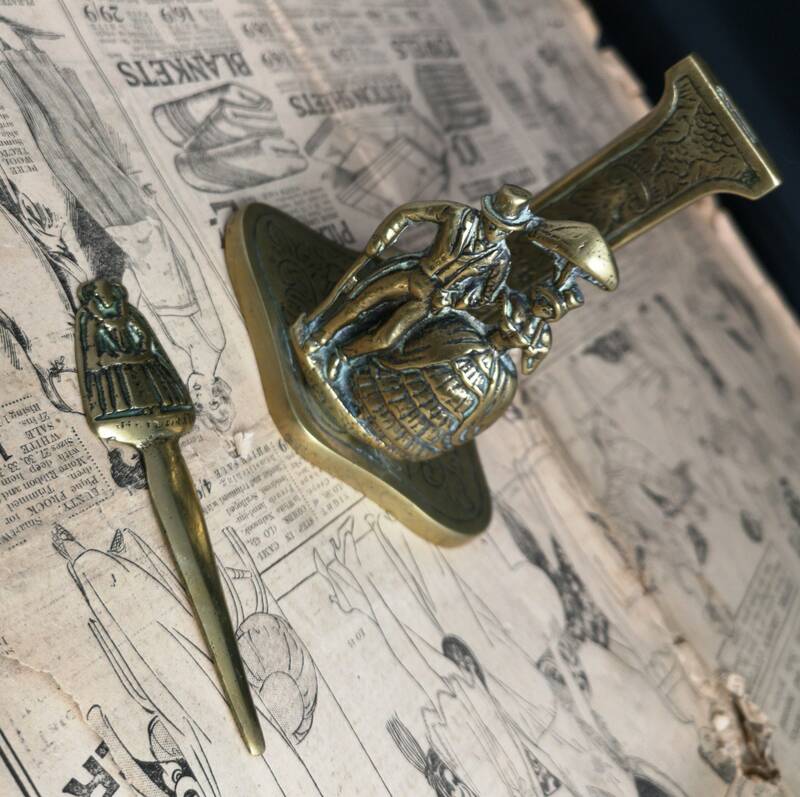 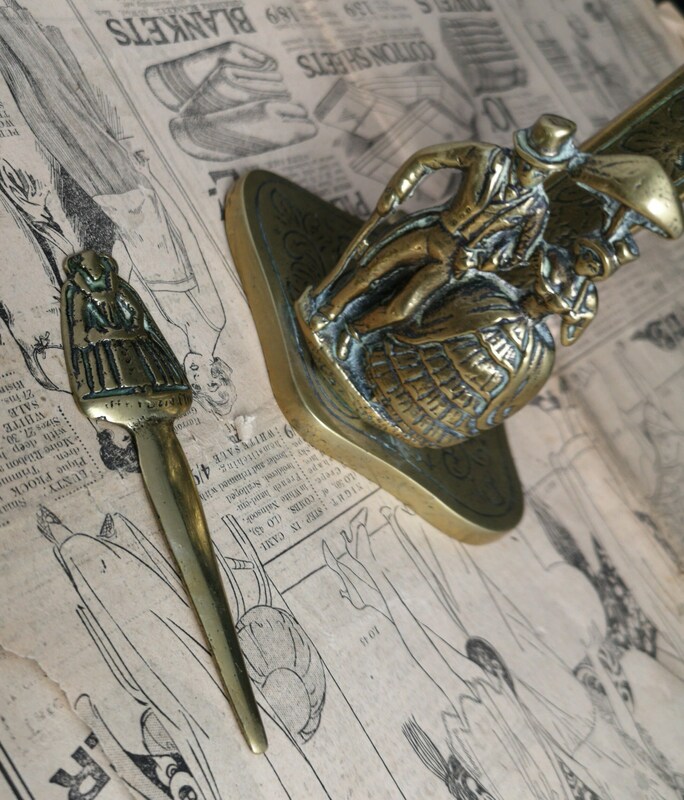 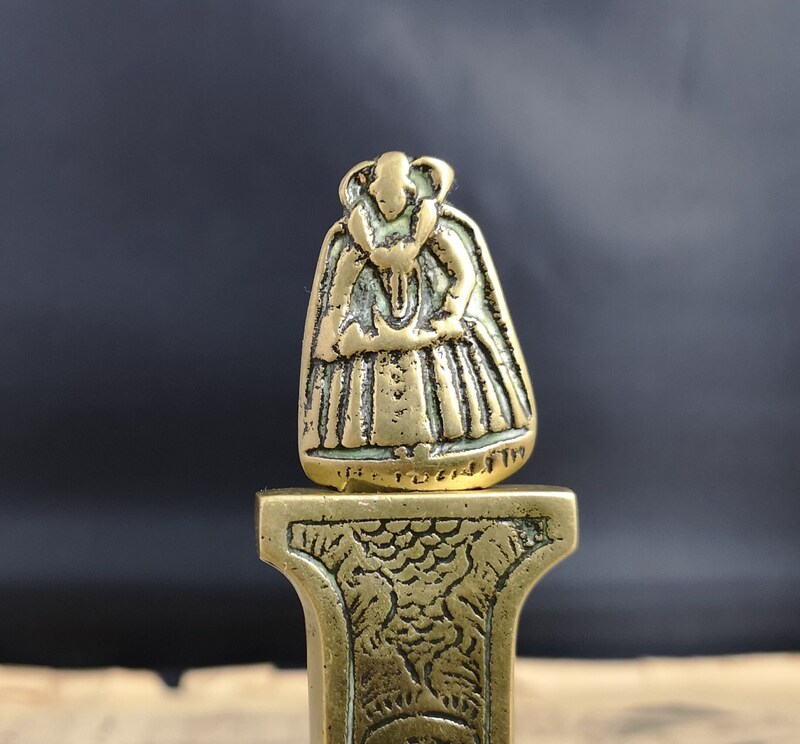 The letter opener is in a traditional form, made from brass and the finial is a figure of Queen Victoria. 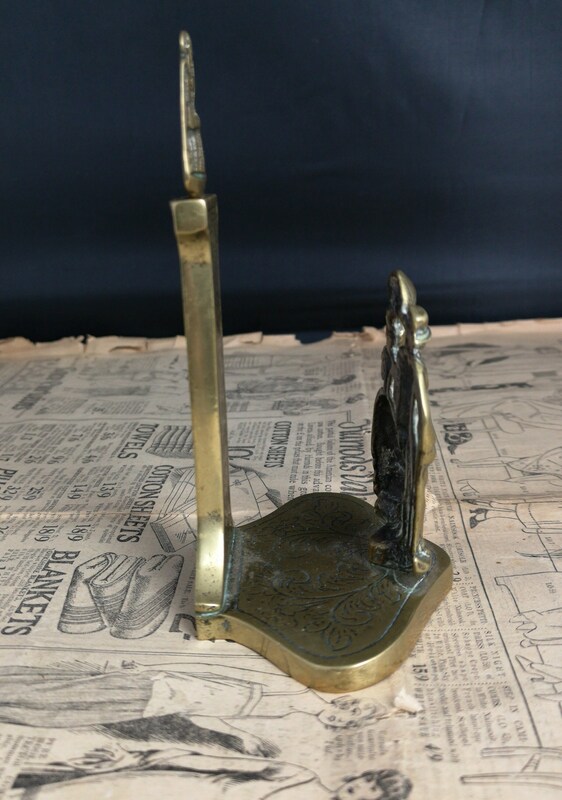 Nice and weighty, good condition lots of patina, a nice piece of antique English brass with lots of detailing.